Recently I was in Sheffield with work for a few days. And whilst I was there I made sure to visit the Kelham Island Tavern – a famous real ale pub just on the north side of the city centre. The Kelham Island Tavern has won many prizes for its beer selection and has twice been the CAMRA (Campaign for Real Ale) National Pub of the Year. It turns out they have folk music in the back bar of the pub on Sunday nights. 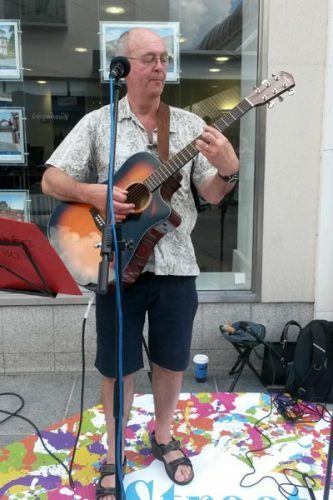 The regular guitarist (Ian McDonald I believe) was playing some songs and recounting stories to a small audience. During a break in his performance I asked if I could play his guitar and sing a couple of songs. He agreed, and I actually did 4 songs altogether. 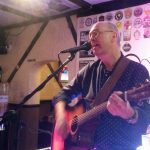 I would never really describe my songs as folk, but they seemed to go down well. There were many posters up around the pub advertising the upcoming Sheffield Folk Festival. Sadly this was after I was returning south, but maybe next year. 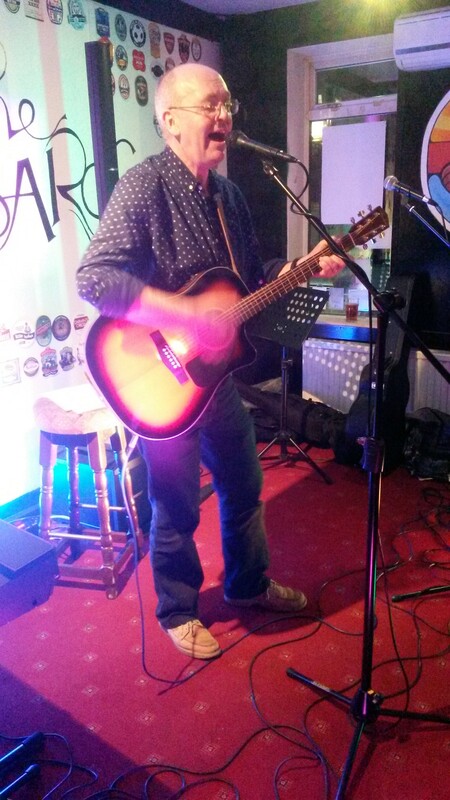 Had another good night down at the Rowbarge, Guildford on 1st March. Vic’s nights at the Rowbarge have become so popular now that there’s only enough time for two songs each. 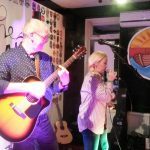 So I did 2 and then I was joined on the stage by Tracy Ginn and we did 2 together. Here are some pics of our performances. 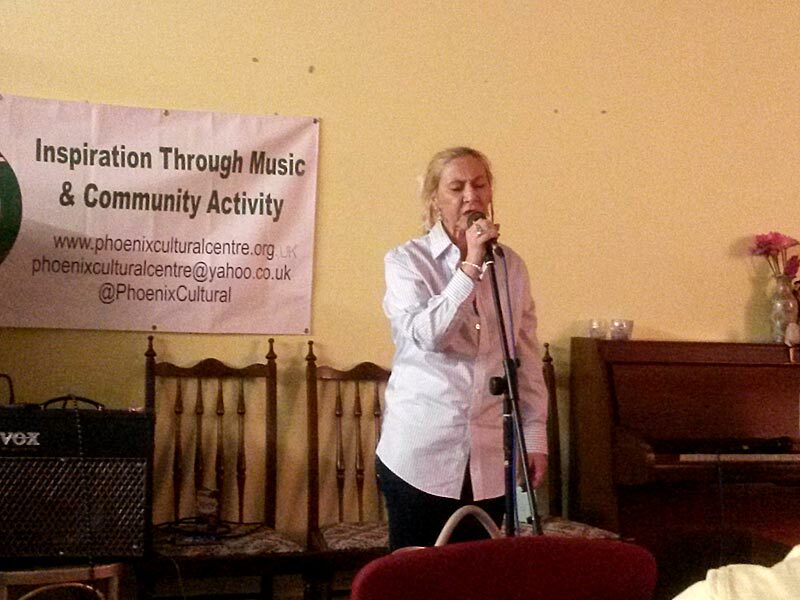 I first met Tracy Ginn at the Phoenix Cultural Centre earlier in the year. 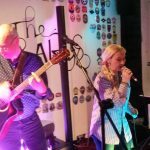 She’s a singer and was performing solo to backing tracks. 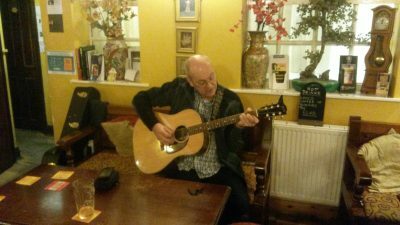 On one visit to the Phoenix, she asked me to accompany her on guitar, and gave me a few song sheets with chords on. I agreed and we performed ‘Smooth Operator’ ( the Sade song). She also gave me the chords for Adele’s ‘Someone Like You’ – a song I’d obviously heard before but never attempted to play. We performed this together the next time I was at the Phoenix. I think Tracy would agree that she was a little lacking in confidence when performing to start with, but I recognised that she had quite a good voice. 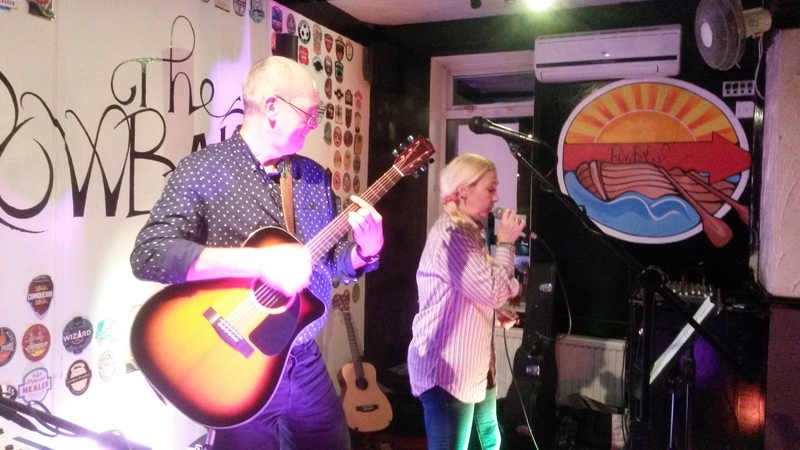 So after the summer we started practising together on an occasional basis – with the idea that I would back her at the Phoenix, and other open mic nights. We’ll hopefully be growing our set list over time. 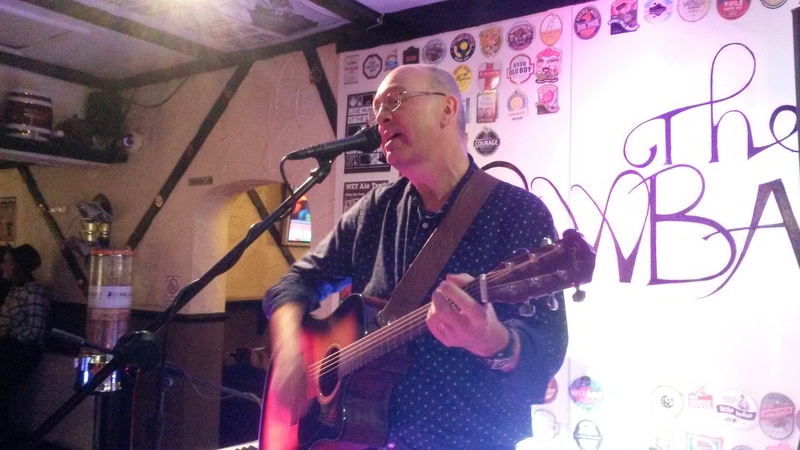 On June 2nd 2015 I played some songs at Vic’s Buskers Open Mic night at the Rowbarge in Guildford. 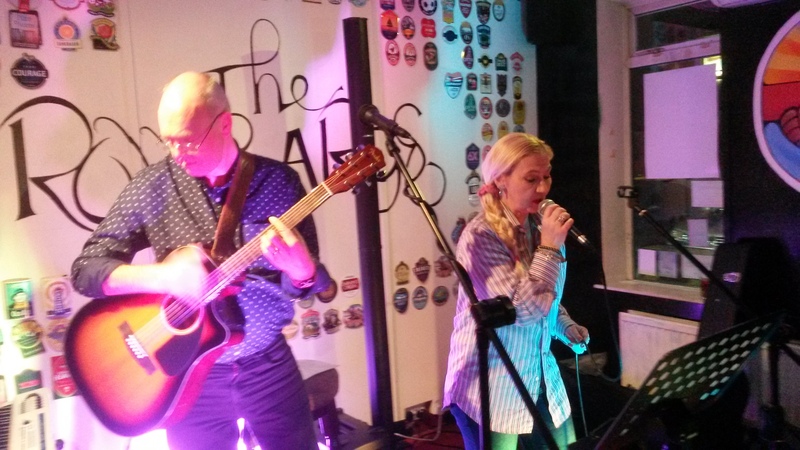 These nights are organised by Vic Cracknell – a guitarist, pianist and songwriter from Surrey. 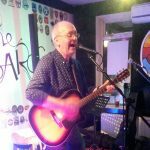 He organises a number of open mic nights at pubs in the Surrey/Hampshire borders area. 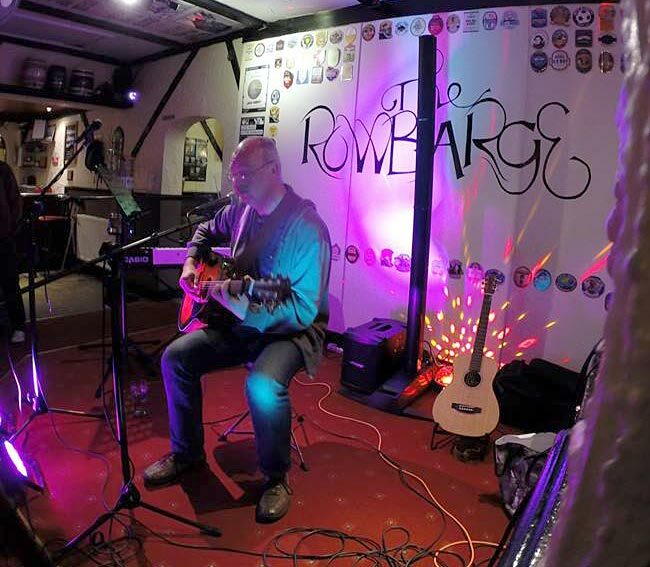 The Rowbarge in Guildford is a regular event of his and takes place on the first Tuesday of every month. I videoed one of my songs – this one is Release.